Having problems envisioning your future? Do you get headaches while concentrating or trying to solve problems? I know it sounds familiar because so many of my clients are still feeling trapped and unable to see a way out of the dilemmas in their lives. 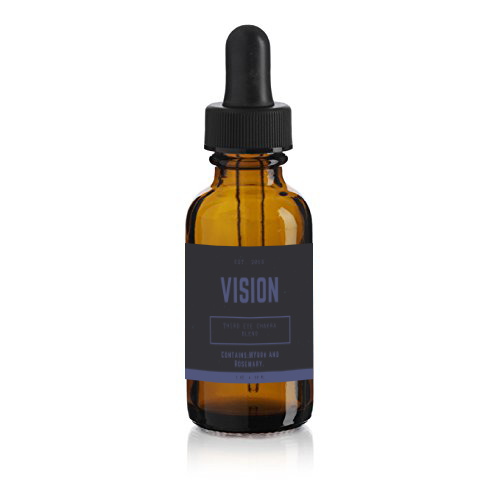 For this, I created Vision: Third Eye Chakra Oil (Myrrh, Rosemary, Safflower). It not only addresses physical issues surrounding vision and reasoning, but it also affects the metaphysical ones. So while you may not be able to schedule a telephone treatment with me, or come to beautiful San Diego, you can buy this oil. It deals with headaches and issues of sight, brain, and endocrine systems. SO WHAT ARE SOME MORE BENEFITS? Decrease the intensity of your headaches. Free association and dreaming become more relaxed. Vision of past, present, and future becomes clearer. Ability to discern differences and patterns in vision. Remind yourself of where you come from and where you are going.